For the last ten years, Mi DeSilva has been volunteering her time with local charity Hospitals Auxiliary of Bermuda, and she has been the Chairperson of the Gift Shop since 2013. Her mission? To give back to the community and help visitors and patients at King Edward VII Memorial Hospital feel as comfortable as possible. This past Friday [Sept 15] marked the third anniversary of the new Gift Shop located in the new Acute Wing. Mrs. DeSilva said: “It’s hard to explain, but being in the hospital was always somewhere I felt like I belonged. I started working at the hospital when I was 17-years-old in the accounts office, setting up a filing system and the environment and people are something I’ve just always gravitated towards. In her early days as a volunteer, Mrs. DeSilva was stationed as a waitress in the Pink Café. However, after the non-profit lost one of its volunteers in the gift shop six months later, she was invited to join that team – where she’s remained happily ever since. Along with her team of volunteers, they order, price and display new products in the store. Other daily tasks include dealing with Customs and arranging shipping and duty for their overseas purchases. Mrs. DeSilva and her team also stock the Hospitality Cart which goes on the patient wards each day selling miscellaneous items to patients. “The best part of this experience has been the team I work with,” Mrs. DeSilva said. “We’ve all become friends and it’s amazing to get to meet new people and build close bonds with them over the years. One of the biggest myths is that they only stock items for patients, but according to Mrs. DeSilva that’s no longer true. “Because we are located in the hospital our goal has been to keep a range of items on shelves so that if staff or visitors needed something they wouldn’t have to go all the way into town to find it,” she explained. The Hospitals Auxiliary of Bermuda was founded in 1953. 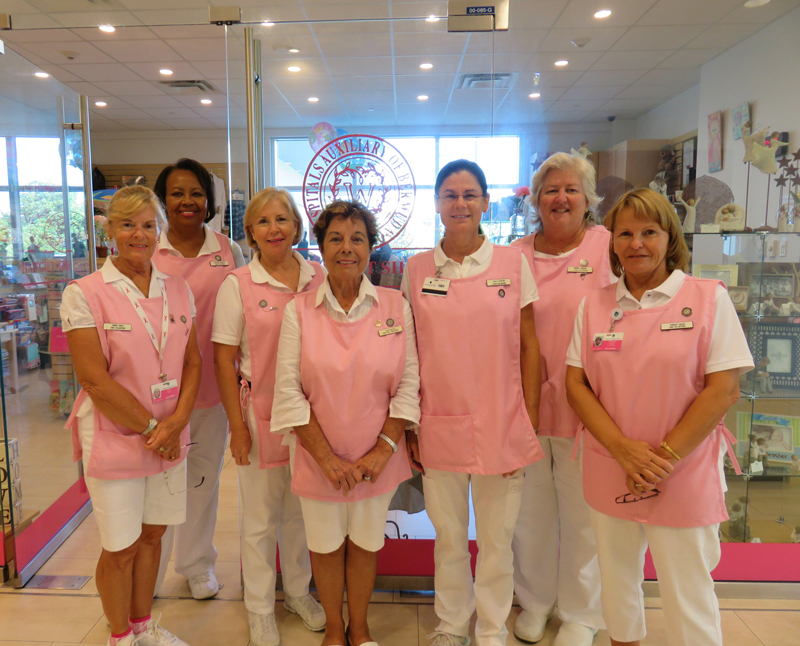 Through its three business enterprises – The Pink Café, The Barn and Gift Shop, and through membership dues and other donations received, they have contributed millions of dollars in support of the hospitals over the last six decades. Thanks to dozens of dedicated volunteers, HAB has also been able to donate over 40,000 hours of service annually to KEMH. Located just off the Lobby in the new Acute Care Wing of the hospital, the Gift Shop sells everything from toiletries, books and games, chocolates and other snacks, to more unique items like jewellery and scarves. In addition they have daily fresh muffins, coffee, tea, and juice. HAB volunteers take time to get to know staff and regular visitors to the shop. If they get a new shipment of items they think someone in particular will like, they encourage them to come in. “We have a couple of ladies who come in every day to do their gift shopping with us around the Christmas holidays,” Mrs. DeSilva said. The Gift Shop is open Monday to Saturday from 9am to 4pm. For more information about The Hospitals Auxiliary of Bermuda or if you would be interested in becoming a volunteer with the organization, call 239-1525.